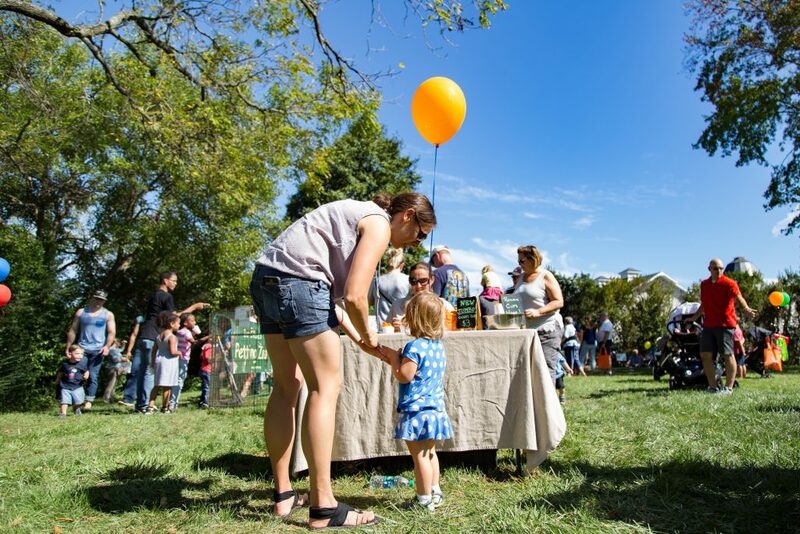 The heart of Vint Hill came to life on Saturday, September 23, as two free fall-themed community events drew in record crowds. 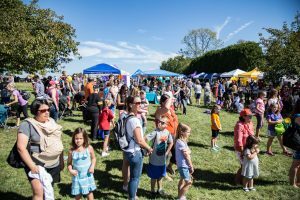 Over the course of six hours, families from in and around Fauquier and Prince William counties attended the third annual Vint Hill Fall Festival and the neighboring inaugural Family Fun Day at Vint Hill, hosted by Fauquier County Parks & Recreation. The festival catered to all ages with activities and entertainment that everyone could enjoy, including a petting zoo, face painting, balloon animals, photo ops with Washington Capitals mascot Slapshot. Attendees enjoyed rows and rows of shopping, while their faithful four-legged friends had special areas to roam, rest, and re-hydrate. Food vendors served up everything from crepes to crab cakes, while fair-food fans enjoyed funnel cake, kettle corn and snow cones. 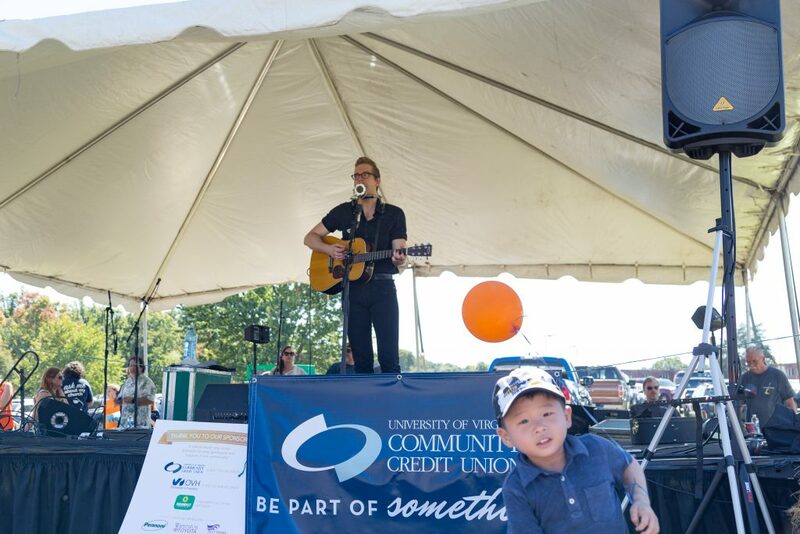 On the UVA Community Credit Union stage three bands and two soloists engaged the crowds with classic covers and originals throughout the day while three talented dance and theatre acts performed between musical sets. 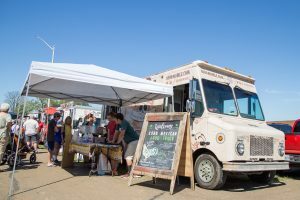 This year, the historic property and former Army base elevated its walkable street festival to cover a larger footprint over the adjacent properties, including the Silvermead House—once the Army Post Commanders private residence—and Lineweaver Drive, where food trucks lined the street. Sharing the day with Fauquier CountyParks & Recreation’s Family Fun Day at Vint Hill, the spread of activities spanned almost the entire length of Aiken Drive. Twenty-nine sponsors helped offset the event’s cost. Sponsors included stage title sponsor UVA Community Credit Union, food village sponsor OVH US, children’s activities sponsor Sunbelt Rentals as well as festival sponsors: Pennoni, Warrenton Toyota, WJMA 103.1 FM, Discovery Publications, Colliers International and Piedmont Lifestyle Magazine; fall Sponsors: Appleton Campbell, Robinson Paving, Weichert Realtors, Gainesville Family Dental Center, Comcast, Old Bust Head Brewing Company, Clear Water Solutions, and event sponsors: Pro-Pave Incorporated, Highland School, Prince William Home Improvement, Golden Rule Builders, The Engineering Groupe, Oak View National Bank, Dewberry Consultants, Redfin, Bowman Consultants, Metrotalk, Shenandoah Landscape Services Inc, Paramount Carpet Cleaning and Property Restoration, and Wetland Studies and Solutions, Inc.
For photos of the 2017 Vint Hill Fall Festival, visit the Facebook album.